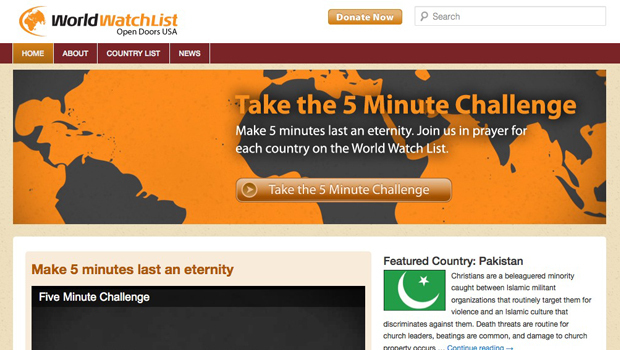 Project Details: The World Watch List website was created in correlation with the launch of the Open Doors list of countries where persecution of Christians is most severe. Previously Open Doors would only focus on the countries for a limited time, but the goal of the new website was to have a year long focus on the countries while integrating it into all other online initiatives. What I Did: Lead in developing the website strategy and long-term mission. Lead creative for design and user experience. Designed the website around the Open Doors USA website for brand consistency. Integrated countries and news. Developed a custom WordPress theme for the website.